IPL: Another close thriller between Sunrisers Hyderabad and Kings XI Punjab in Punjab Cricket Association at Mohali. Match went to the last over where Kings XI had a dramatic victory on the 5th ball of 20th over. KXIP won the coin toss and decided to bowl and their decision turned to be in their favor. Sunrisers Hyderabad only managed to score 150 runs on the board for the loss of 4 wickets. David Warner played a good cricket knock of 70 off 62 balls. His innings was on the slow side, he could have scored a century off 62 but it was the pressure of other ends that didn’t allow him to free his arms. Vijay Shankar was the only batsman who scored above 20. He scored 26 off 27 balls. It was Deepak Hooda 14 off 3 balls that allowed SRH to score 150. KXIP had no trouble while chasing the total. Chris Gayle didn’t fire today as he only scored 14. It was KL Rahul and Mayank Agarwal partnership that pushed SRH on the backfoot. The second last over from Siddarth Kaul helped SRH to pull things back. But it was the last over where they lack few cricket skills. 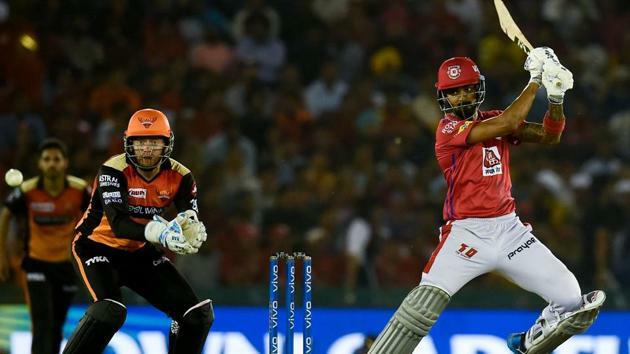 Muhammad Nabi bowl fine but, it was some brilliant batting by KL Rahul and few fumbles in the fields that allowed KXIP to win the game on the 5th ball of 20th.